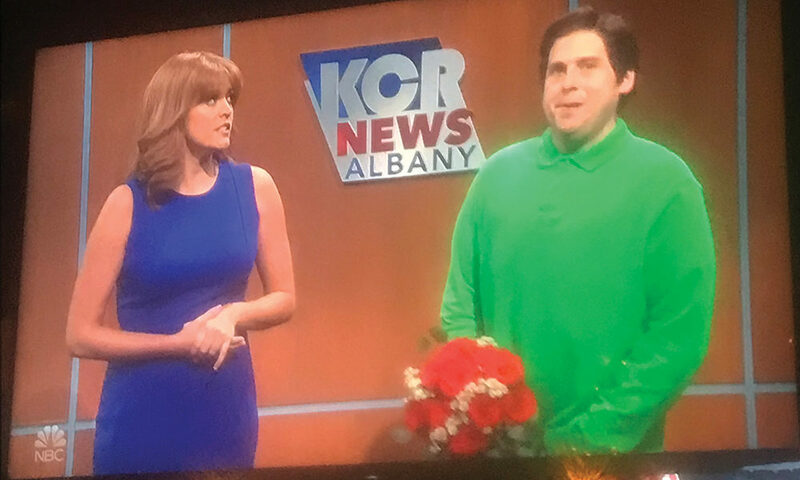 On November 3, 2018, Saturday Night Live (SNL) aired a skit about KCR News Albany, an imaginary, dysfunctional local news channel based in the Capital City, which starred SNL cast members Leslie Jones, Kenan Thompson, Cecily Strong and guest host Jonah Hill. It got us thinking: Have there been any other SNL skits set in the Capital Region? We found one: a 2012 skit in the form of a political ad about fictitious Mayoral Candidate Glenda Okones (portrayed by Kristen Wiig), who’s running in the town of “Glen Falls.” Whether SNL intended to take a dig at the very real “Glens Falls,” just 25 minutes north of Saratoga, remains up for serious debate.